Moving to Emeryville is something a number of people consider each year. Of course, you would want to do some research first, so we compiled some facts and insights for you. There are advantages to living in Emeryville, and we have listed some here. 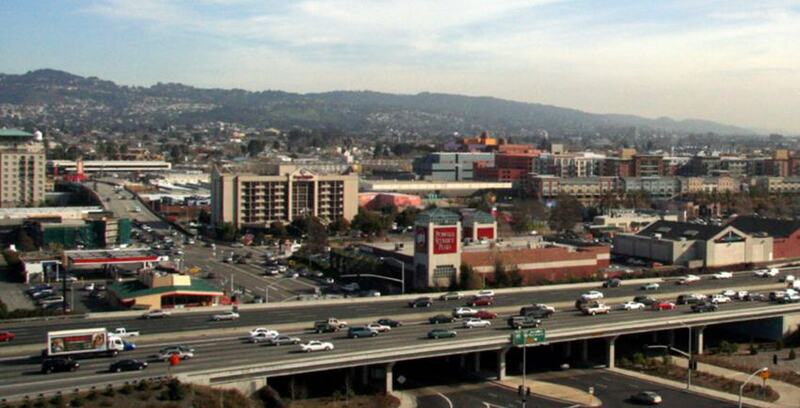 The population of Emeryville is about 10,000 and it is one of the smallest of the Bay Area’s cities. It is located between Berkeley and Oakland, and is racially diverse with about 40% White, 27% Asian, 17% Black, .2% Native American, and 10% Hispanic. The median home cost in Emeryville is $486,000, and the average rent is over $2,000. These figures may seem high, or very high, but the median home cost in San Francisco is $1.5 million. Moving to Emeryville is something that people in San Francisco may find attractive, at least from the cost perspective. Because of the small size of Emeryville, much of the housing which has been developed is multiple units constructed vertically, like large condo structures. Some are low-rise and others are much higher. Older people living in San Francisco may not object to moving to Emeryville, because they are already accustomed to living in small spaces, in other words ones without yards. If you are looking for a big yard, moving to Emeryville probably isn’t going to work for you. If you are going to rent, you might get lucky and find a small studio for about $1600 a month. Such an amount might seem like a lot, if you haven’t living in the Bay Area, but compared with San Francisco or Berkeley that isn’t bad at all. Some studios in San Francisco are well over $2000 a month, or even more. If you are a young adult who can’t afford San Francisco’s housing, moving to Emeryville might work for you. In Emeryville, the housing is much more affordable, yet San Francisco is just a BART ride away, or a short drive over the bridge. What are some of the top employers? Emeryville also has quite a few startups. With such a strong base of employers, one can easily see why the cost of housing is on the high side, though relative to the whole Bay Area, it is still low. According to great schools, they rate below average. For adults, there is the Expression school, which is for the study of things like animation. Emeryville also doesn’t disappoint for shopping; Bay Street has over 60 stores, and Powell Plaza has shops like Ross and Marshall’s. There is also a Trader Joe’s at Powell. There are some stores in Emeryville near the food court as well. Many people who live in the East Bay know there is an IKEA right next to the Bay Street, so if you are a fan of that kind of merchandise, you might enjoy living in Emeryville. Moving to Emeryville might seem like a downgrade from living in other parts of the Bay Area, but this very small town has far more to offer than one might expect. Bay Street has a cineplex with 16 movie theaters which constantly show mainstream movies. The Fratellanza Club has indoor bocce ball courts and there is a dance club called Allegro. The Grease Diner is a place where you can learn to print on materials like t-shirts. Emeryville also has its own winery: Cape Ardor. There are several yoga studios such as Tree of Life, Square One Yoga Collective, Emeryville Yoga and Wellness Center. Emeryville has quite a few fitness centers like CrossFit Oakland, Core Society Fitness, Optimum Movement, and Team Tufunga. What are some fun things to do in Emeryville? Though Emeryville is small, it has two marinas, which is very unusual for a town of its size. It also has waterfront open space and quite a bit of industry. Fun is very subjective; shopping is enjoyable for some and very tedious for others, but Emeryville has many options, especially for such a small place. Some will enjoy the food court, others the marinas areas. The restaurants may appeal to many and the shopping is very good even for a town several times larger. Are there churches or other religious organizations? One thing Emeryville doesn’t have in abundance is worship organizations. One of the few is the Living Hope Christian Center. However, there are many in nearby Berkeley and Oakland, and getting to them should be very easy. Residents of Emeryville have mostly voted for Democrats in major elections for over twenty years. Considering that Californians as a whole typically vote for Democrats more than Republicans, it isn’t unexpected that adults in Emeryville do the same. There isn’t a BART station in Emeryville, the closest one is at Ashby in Berkeley. However, there is an Amtrak station, which can be useful for longer trips like to Sacramento. There are public buses, and the typical kind of streets you will find anywhere in the East Bay. I-80 also runs right through Emeryville. Oakland Airport is not that far away, so you could drive there. You could also ride BART there, or to SFO. Emeryville is very small and it always has been, but it doesn’t lack for history. In the 1800s it was something of an industrial center and it hosted a number of bars and brothels. Its reputation wasn’t stellar, but today it is a thriving place. So, what do you think of Emeryville now? Were you aware of all the industry there, and how much less the housing costs are? If you were considering moving to Emeryville before you read this, how what is your impression now?